Sabrina: Thank you so much for joining me on my blog today and answering some questions. Jennifer: It’s my pleasure, Sabrina! Thank YOU for having me! 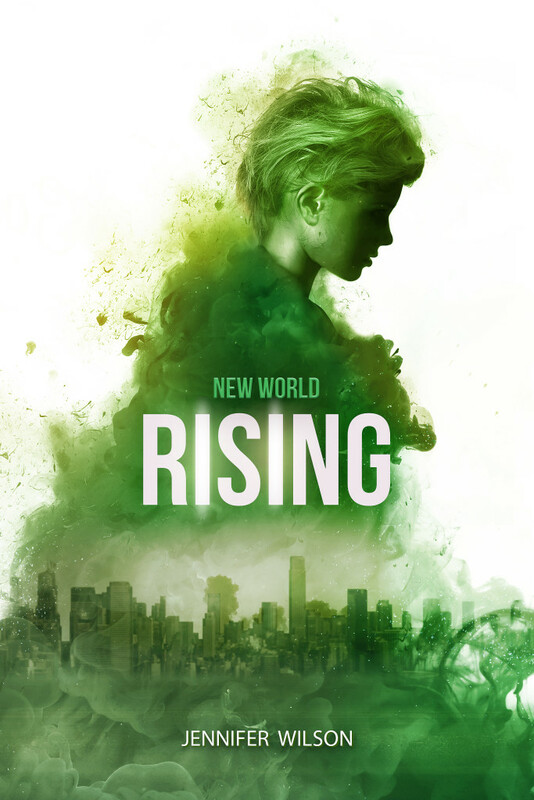 Sabrina: When readers first open the pages of New World Rising they experience and are shown drawings of the different tribes they will experience in the book. Do you believe this helped create a better picture for the readers? Or why did you feel it was essential to allow readers to see how you envisioned the Tribes. Jennifer: This is a wonderful question to start with! Tartarus is a dark and elaborate world with gruesome rules and an even more gruesome cast of characters. I wanted readers to feel that connection before jumping into story. As an avid reader myself, I also understand that trying to keep all the minor—but important—characters straight can get confusing. These images help give readers a reference point. The Tribes and their characteristics are vital to the world, but they are not the focus in Rising. Phoenix is, so I thought it most appropriate that I introduce the Tribes first from her perspective by literally taking pages from her precious journal and sharing them with the reader. Sabrina: Did you have to inquire or do any research pertaining to the idea of this novel in order for you to write specific events? Jennifer: Definitely! There were many things I researched for the series to make sure events, feelings, action scenes and descriptions were accurate. One thing I researched the most for Rising was American Sign Language. As one of the main characters, Mouse, doesn’t verbally speak, I felt it important to give her physically expressed voice an accurate portrayal. Especially since her schooling in Sign Language comes from a book Triven stole for her. All the motions described when Mouse “speaks” are actual ASL. 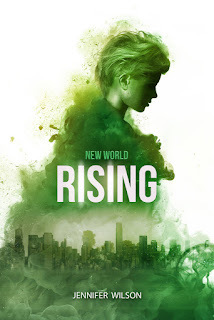 Sabrina: Survival is key in New World Rising, so who is one character from the entire novel you would want to stick with to survive? Jennifer: Oh dear… I love this question, but it is not easy to answer. While Phoenix is an epic survivor, she generally does not play well with others. So, partnering with her might not be the best option. Especially not in Rising. As all strong protagonists, she does grow and eventually evolves into a more loving human being throughout the series, but even then, her inner circle is small and I’m not sure I would make the cut. Honestly, I would have to choose Archer. She is equally as street smart as Phoenix and while she has a shrewd mouth that can burrow under your skin, she does work better with others. Sabrina: The books primary focus is on the idea the world is split into two. The chaotic side and the much more organised/controlled side. If you had the opportunity to experience the world first hand, which side of the wall would you want to experience and live in? Jennifer: Is it terrible I would have to say neither? While I have a keen sense for survival, you couldn’t pay me to live in the streets of Tartarus. But the idea of living in a controlled world like the Sanctuary that claims equality by taking away human rights also terrifies me. Both worlds differ in every way, but neither is actually perfect and both are terrible in their own way. If I had to choose… I might pick the Sanctuary, but I would definitely be a rebel. Sabrina: What a wonderful interview. Thanks again Jennifer for sitting down with me to talk about your book. Jennifer: Truly, Sabrina, it was my pleasure. I cannot thank you enough for your support. Another huge selling point about this novel for me was the other side of the wall, The Sanctuary. This Sanctuary is set to be the apparent safe area in this dystopian world. However once witnessing and hearing stories about The Sanctuary, we as readers start to realize that maybe it's not a Utopia everyone hoped it to be. In a desperate struggle to survive the depths of The Sanctuary, the characters must be fast acting, and have an eye for killing. Which is another point I must make about this book. The characters were absolutely brilliant. Each and every single one added so much more to the story then I had ever thought possible. However what made this book a little more special was the awesome leading female character Phoenix. Phoenix had some flaws, like every great character should, but what made me love her even more was her mind set. Her reasoning behind her actions was brilliant. I especially loved her plan for the way she chose to live at certain safe houses. Another thing I really loved about her was that she was reliant on herself and no one else up until she met Mouse. The adjustments she made for Mouse were so incredible, and I can't wait to see more of her and Mouse in book 2, New World Ashes.